يشكل فندق City Garden Lodge Backpackers بموقعه الممتاز في قلب هذه المنطقة الرائعة كنقطة انطلاق ممتازة لاستكشاف المدينة. يمكن من هنا للضيوف الاستمتاع بسهولة الوصول إلى كل ما تقدمه هذه المدينة النابضة بالحياة. يشكل هذا الفندق ملاذاَ مريحاً للاسترخاء ويمنح زواره فرصة للاستجمام والتجدد، وهو يقع على بعد خطوات من المعالم السياحية الكثيرة للمدينة. إن الخدمات الممتازة وحسن الضيافة العالي في City Garden Lodge Backpackers تجعل إقامتك تجربة لا تنسى. يمكن الاستمتاع بمجموعة من الخدمات على أعلى المستويات في الفندق كمثل تسجيل وصول/خروج سريع, تخزين الأمتعة, واي فاي في المناطق العامة, صف السيارات, غرفة عائلية. بالإضافة لهذا، تتضمن كل غرف الضيوف مجموعة واسعة من وسائل الراحة . بعض الغرف توفر حتى سجاد, بياضات, مرآة, كاشف دخان, اتصال لاسلكي بالإنترنت لإرضاء أكثر الضيوف تطلبًا. يقدم الفندق خدمات رائعة كمثل مسار جولف - ضمن 3 كم, حديقة لمساعدتك على الاسترخاء بعد نهار طويل من النشاط والتجوال في المدينة. إن كنت تتطلع إلى إقامة مريحة وهادئة في المدينة، فستجد في City Garden Lodge Backpackers بيتك الثاني. This place has good internet, it is unlimited and works very well. Biggest complaint is the staff/older long termers. One girl had to scream at the old gross janitor dude who was creeping on her and following her into the bathroom. Then the next night a bunch of old guys, including the creepy janitor guy, nearly got in a fight and were drinking and yelling well into the night despite the rules stating quiet and go inside at 10. The owners are a very nice Indian couple who don't seem to mind these guests staying there. Also, request to stay in the main house as it is way better, they put me in "room B" which was basically a garden shed that got converted to a hostel room, it was okay but there were cockroaches and the door looked like something off a barn. 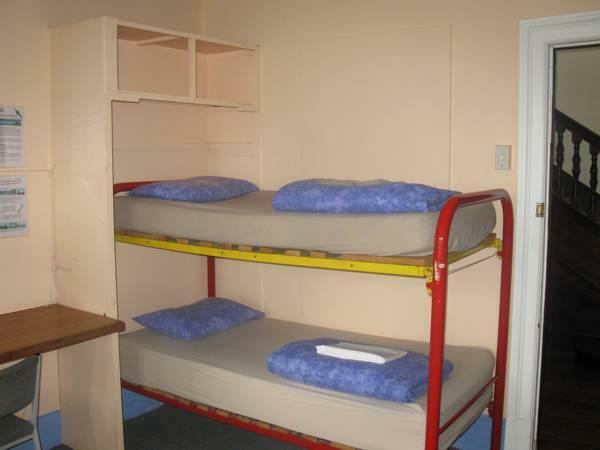 This hostel has its ups and downs, if you're not experienced with hostels then give it a miss, but if you've traveled a lot youve definitely had a lot worse. The locks did not work on out door wich I let them know but nothing happened..
Great location and value for money! Hosts are helpful and friendly. Highly recommended! We booked single beds and got bunk beds in an ugly 10 bed room. We were given a deceptive photo and information in the booking. 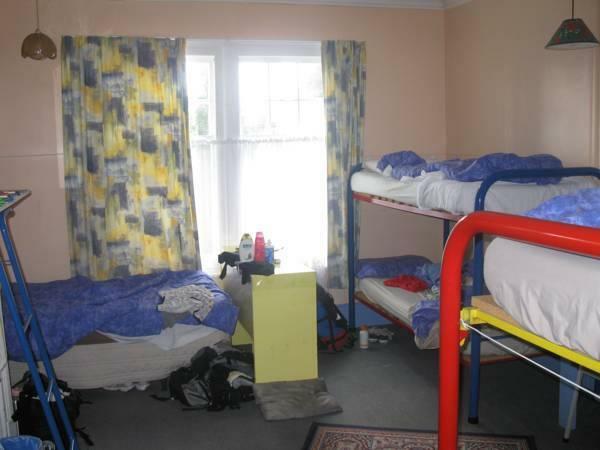 We booked single beds in a nice two bed room and got bunk beds in a small, ugly and dirty 10 bed room. Very good hostel,we arrive very late staff arranged key in a box with some information for us. 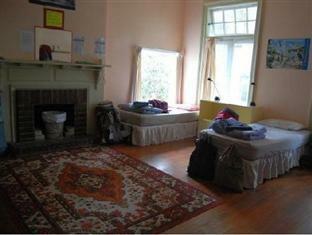 Beautiful house situated in Parnell. Really made us feel like home. This lovely heritage building is in a great location close to the CBD, water, shops and so many other sites. 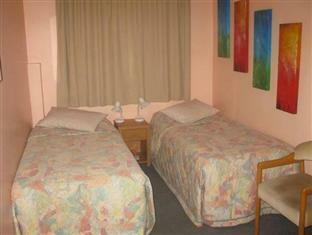 The backpackers had great hot water, clean rooms, comfortable beds and a range of facilities available. I wasn't aware in advance of office hours so had to delay check-in and waited a while on return. I was in one of the verandah rooms which was great but could do with an internal door handle to assist with moving the door with the uneven floor and requires new internal blinds for privacy. Pleased I stayed at this accomodation. 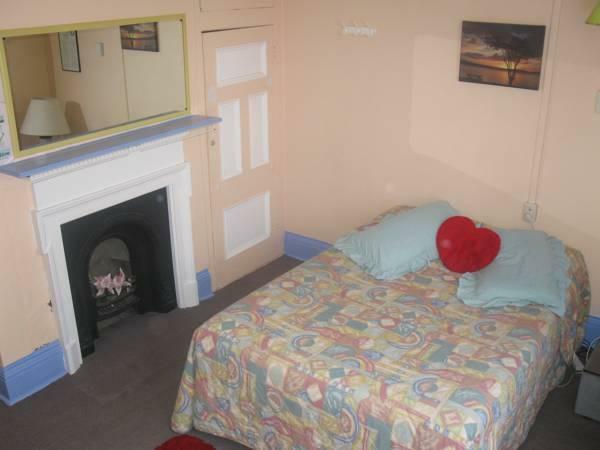 In a very quiet location yet very close to the city centre, and just 5 min walk from the great French market La Cigale. Nice garden, huge double room under the roof with lots of storage and even a little balcony. The staff at reception wise nice and helpful. The only concern (not the backpackers' fault though) was other guests talking loudly at 2am in the patio, which woke us up and my partner had to tell them to be quieter. Same loud talks at 7am (it was public holiday and we were hoping to sleep at least until 8am). There is a sign saying to go back in the rooms after 10pm, but apparently not read or not respected. Otherwise it was a great stay. The other guests were very friendly, great place if you don't want to stay at a large branded hostel. Located a 25 min walk from the CBD, but there is a bus stop near by. Would recommend City Garden Lodge. When I checked in the accommodation, the reception wasn't at the office. I tried to call phone but no one answered. A very kind lady helped us how to get a room key. If there was not the lady, we couldn't find the key. Otherwise, when we checked out, there was no reception at the office again...so, I called him, and he finally appeared from a car... I wonder when he works at the office. Room was nice and clean. Building is old but charming. Friendly staff. Kitchen is a bit small. Good location, not in central but easy for bus. Recommended. As we were last minute bookers we had to stay a night in 3 different places. This lodge was by far the cleanest and friendliest place. Very nice staff, very quick check in and check out, early check in no problem, big and well equipped kitchen, big rooms, free parking around the motel and free WiFi.